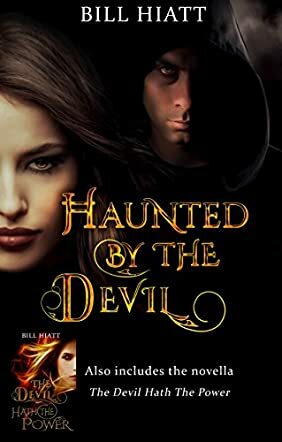 Haunted by the Devil by Bill Hiatt is the kind of story with great appeal to readers who are into urban fantasy and the supernatural, a romantic adventure that takes readers on a rollicking ride to Hell. Chris gets a very unusual offer appearing on the screen of his computer - to sell his soul - and it comes with great rewards, an offer that is impossible to refuse. Then the next day, a gorgeous woman, one with exceptional beauty, shoots into his life like a comet — Amanda — and they instantly become boyfriend and girlfriend. But does he know that letting Amanda into his life is a way of letting the Devil in? When she gets trapped in Hell, Chris will have to do everything to save her. But what weapons does he possess and, without faith, can he even make it to Hell alive, let alone making it out of there and saving his supernatural girlfriend? Character development is impeccable and I liked Chris and the fact that the narrative is done from his point of view and in a very compelling voice which the author seems to master well. Chris is stubborn and easily gives in to distractions. Watching the transformation in his life from the moment he meets Amanda is intriguing. The problem that stirs the reader’s interest is whether Chris can ever have a normal life again after meeting Amanda. The writing is also great and the prose is just so beautiful that it feels like music to one's ears. Haunted by the Devil is fast-paced, featuring a strong conflict, the journey of a man on a very dangerous mission. You’ll become addicted to Bill Hiatt’s unique phraseology pretty quickly, and his characters will take you to places you won’t want to be on ordinary days, but exciting places. It takes skill to make readers believe in a story that sounds impossible, and Hiatt has that gift.